This article is about the band. For the album, see Midnight Oil (album). For the album by Barbara Mandrell, see The Midnight Oil. For the idiom, see Wiktionary:burn the midnight oil. Midnight Oil (known informally as "The Oils") are an Australian rock band composed of Peter Garrett (vocals, harmonica), Rob Hirst (drums), Jim Moginie (guitar, keyboard), Martin Rotsey (guitar) and Bones Hillman (bass guitar). The group was formed in Sydney in 1972 by Hirst, Moginie and original bassist Andrew James as Farm: they enlisted Garrett the following year, changed their name in 1976, and hired Rotsey a year later. Peter Gifford served as bass player from 1980–1987. Midnight Oil issued their self-titled debut album in 1978, and gained a cult following in their homeland despite a lack of mainstream media acceptance. The band achieved greater popularity throughout in Australasia with the release of 10, 9, 8, 7, 6, 5, 4, 3, 2, 1 (1982) – which spawned the singles "Power and the Passion" and "US Forces" – and also began to attract an audience in the United States. They achieved their first Australian number one album in 1984 with Red Sails in the Sunset, and topped their native country's singles chart for six weeks with the EP Species Deceases (1985). The group garnered worldwide attention with 1987 album Diesel and Dust. Its singles "The Dead Heart" and "Beds Are Burning" illuminated the plight of indigenous Australians, with the latter charting at number one in multiple countries. Midnight Oil had continued global success with Blue Sky Mining (1990) and Earth and Sun and Moon (1993) – each buoyed by an international hit single in "Blue Sky Mine" and "Truganini", respectively – and remained a formidable album chart presence in Australia until their 2002 disbandment. The group held concerts sporadically during the remainder of the 2000s, and announced a full-scale reformation in 2016. The band's music often broaches political subjects, and they have lent their support to multiple left-wing causes. They have won eleven Australian Recording Industry Association (ARIA) Awards, and were inducted into the ARIA Hall of Fame in 2006. Midnight Oil's legacy has grown since the late 1970s, with the outfit being cited as an influence, and their songs covered, by numerous popular artists. Aside from their studio output, the group are celebrated for their energetic live performances, which showcase the frenetic dancing of Garrett. Guardian writer Andrew Street described Midnight Oil as "one of Australia's most beloved bands". While studying at Australian National University in Canberra, vocalist Peter Garrett answered an advertisement for a spot in Farm, and by 1975 the band had started touring the east coast of Australia. By late 1976 Garrett had moved to Sydney to complete his law degree, and Farm changed its name to Midnight Oil by drawing the name out of a hat. Important to their development was manager Gary Morris, who successfully negotiated favourable contracts with tour promoters and record companies and frustrated rock journalists. [need quotation to verify] Guitarist Martin Rotsey joined in 1977 and Midnight Oil, with Morris, established their own record label, Powderworks, which released their debut eponymous album in November 1978. Their first single "Run by Night" followed in December. Founding bass-guitarist James, forced to leave due to illness in 1980, was replaced by Peter Gifford. Gifford was himself replaced by Bones Hillman in 1987. Through a long and distinguished career, the band became known for its driving hard-rock sound, intense live performances and political activism, particularly in aid of anti-nuclear, environmentalist and indigenous causes. Aside from chart success, the Australasian Performing Right Association (APRA) in 2001 listed both "Power and the Passion" and "Beds Are Burning" in the Top 30 best Australian songs of all time, a chart in which Midnight Oil are the only artists to feature twice. In December 2002 Garrett announced that he would seek to further his political career and Midnight Oil disbanded. But they would reform for two warm-up shows in Canberra leading up to their performance at one of the "Sound Relief" charity concerts, in honour of the victims of the 2009 "Black Saturday" fires in Victoria and floods in Queensland. In 2010 their album Diesel and Dust ranked no. 1 in the book The 100 Best Australian Albums by Toby Creswell, Craig Mathieson and John O'Donnell. In 1971, drummer Rob Hirst, bass guitarist Andrew James, and keyboard player/lead guitarist Jim Moginie were performing together. They adopted the name "Farm" in 1972, and played covers of Cream, Creedence Clearwater Revival and Led Zeppelin songs. They placed an advert for a band member and Peter Garrett (ex-Rock Island Line) became their new vocalist and synthesizer player, and began introducing progressive rock elements of Focus, Jethro Tull and Yes, as well as their own material. Garrett was studying at Australian National University in Canberra, so Farm was only a part-time band. They played for the northern Sydney surfing community, and by 1975 the band was touring the east coast. In late 1976, Garrett moved to Sydney to complete his Law degree. Farm then became a full-time group and changed its name to "Midnight Oil" by drawing a name out of a hat, leaving behind "Television," "Sparta," and "Southern Cross." Midnight Oil came from the Jimi Hendrix song, "Burning of the Midnight Lamp." After changing its name to Midnight Oil, the group began to develop an aggressive, punk-hard rock sound for their pub rock audiences. Guitarist Martin Rotsey joined in 1977 and Midnight Oil, with their manager Gary Morris, established their own record label Powderworks. In June 1978 they entered the Alberts Studio in Sydney with producer Keith Walker, from local radio station 2JJ, to record their debut eponymous album, Midnight Oil, which was released by Powderworks in November 1978 and peaked at No. 43 on the Australian albums charts. Midnight Oil's first single "Run by Night" followed in December, but had very little chart success, peaking at No. 100 on the singles charts. The band built a dedicated fan base, initially restricted to Sydney, which was extended to other Australian cities through constant touring – performing some 200 gigs in their first year. They became known for their furious live performances, which featured the two guitarists Moginie and Rotsey, the drumming and vocals of Hirst and the presence of the towering, bald Garrett as lead singer. The Midnight Oil LP disappointed some critics as it did not capture their powerful live performances, with undemanding playing and Garrett's vocals sounding stilted. Their second album Head Injuries, released on Powderworks in October 1979, was produced by former Supercharge member Leszek Karski. It mixed solid guitar rock with progressive flourishes and was an improvement by highlighting the group's strengths and growth. It peaked at No. 36 and by mid-1980 had achieved gold status. In April 1980 founding bass guitarist Andrew James left because of ill-health and was replaced by Peter Gifford (ex-Huntress, Ross Ryan Band). Further interest in Midnight Oil was generated by the popular Bird Noises EP, also produced by Karski, which peaked at No. 28 on the Australian singles charts. One of its four tracks was the surf-instrumental "Wedding Cake Island" named after the rock outcrop in the ocean off Sydney's Coogee Beach. The band's third LP Place without a Postcard, released by CBS Records in November 1981, was recorded in Sussex with English producer Glyn Johns (The Rolling Stones, The Who). Creative tensions between the band and Johns plagued the recording and the group were not totally happy with the outcome. Johns had an arrangement with A&M Records and they asked Midnight Oil to return to the studio to record material suitable for an American single release – they refused and returned to Australia. Place without a Postcard peaked at No. 12 on the albums charts and related singles "Don't Wanna be the One" and "Armistice Day" reached the Top 40 in Australia. In retaliation, Morris banned Elder from Oils shows permanently. Elder later recanted, describing them as the only Australian band to have developed a truly Australian sound. The frostiness of Midnight Oil's relationship with the traditional music media quickly saw the band develop a strong "street cred" and a reputation for making no compromises with the music industry. In the early 1980s the band was scheduled to appear on an episode of the all-powerful Australian Broadcasting Corporation (ABC) TV pop show Countdown, but on the day of the show they were "bumped" from the line-up. Countdown required artists to mime their songs during 'live' performances, Midnight Oil and Morris insisted they perform completely live and have their sound engineer supervising – neither side backed down. According to Countdown producer Michael Shrimpton, the band had arrived late for rehearsal, and due to the show's very tight schedule and budget there was a strict policy that latecomers were not allowed to appear, and as such they were told they could not perform that day. In response, the group declared that they would never appear on the show, a promise they faithfully kept. Countdown presenter Molly Meldrum shaved his head bald, imitating Garrett, for its final show on 19 July 1987 and expressed regret that Midnight Oil had never appeared on the show. Their Australian breakthrough and first international recognition came in 1982, with the release of 10, 9, 8, 7, 6, 5, 4, 3, 2, 1, which included the singles "Power and the Passion" and "Read about It". The album peaked at No. 3 and "Power and the Passion" peaked at No. 8. The album also includes their denunciation of American military interference in foreign affairs in "US Forces" and their critique of imperialist repression in "Short Memory". 10 to 1 was recorded in London during September and produced by Englishman Nick Launay, who had previously worked with acts including The Jam, XTC, Peter Gabriel, PiL, Gang of Four and The Birthday Party. Launay worked on several other major Australian recordings in this period including INXS' The Swing, Models' The Pleasure of Your Company and The Church's Seance. The album remained in the Australian charts for 171 weeks. It retained their live energy but was more adventurous and radical than previous work. Their ascendancy was signalled by a series of concerts on the release of the album at Sydney's Capitol Theatre, one of which was filmed and recorded and later released on their 2004 Best of Both Worlds DVD. The band also played their first shows outside Australia during this time, with the album being released in US on Columbia Records, where it charted in 1984 on the Billboard 200; in the UK it was released on CBS. Midnight Oil undertook more politically motivated benefit concerts, including organising the Stop the Drop Nuclear Disarmament concert in 1983 which received a United Nations Media Peace Prize. 10 to 1 was followed by Red Sails in the Sunset in October 1984, which was recorded in Japan, produced by Launay again. It peaked at No. 1 for four weeks on the Australian charts, and charted on the Billboard 200. Singles from the album were released in US and UK but had no chart success. Whilst the album showed an overreliance on technical wizardry, their lyrical stance was positive. The band continued to expand their sound and explore themes of politics, consumerism, militarism, the threat of nuclear war and environmental issues. The album cover by Japanese artist Tsunehisa Kimura featured a photomontage of Sydney – both city and harbour – cratered and devastated after a hypothetical nuclear attack. Live concert footage of "Short Memory" was used in the Australian independent anti-nuclear war movie One Night Stand. A promotional video for "Best of Both Worlds", later on Best of Both Worlds, received airplay worldwide on cable music TV station MTV. Garrett ran as a Nuclear Disarmament Party (NDP) candidate for a NSW seat in the Australian Senate during the December 1984 federal election, Garrett obtained 9.6% of votes but was unable to obtain the required quota of 12.5%. In April 1985, Garrett, with some 30 other members, walked out of the national conference and resigned from the NDP claiming it had been infiltrated by a Trotskyist group. Although unsuccessful in that federal election, Garrett was now a recognised public figure. In January 1985, Midnight Oil performed Oils on the Water, a concert on Goat Island in Sydney Harbour to celebrate Triple J's tenth birthday, before a select audience of fans who had won tickets in a radio competition. The concert was filmed, simulcast on ABC-TV and Triple J, and released on video, which was remastered for their 2004 Best of Both Worlds DVD. In December 1985 the four-track EP Species Deceases produced with Francois Kevorkian was released by CBS/Columbia; it peaked at No. 1 on the Australian singles charts for six weeks. Species Deceases, featuring the track "Hercules", featured a return to their pub rock sound with hard hitting firepower. Midnight Oil spent several months in 1986 on the Blackfella/Whitefella tour of outback Australia with indigenous groups Warumpi Band and Gondwanaland, playing to remote Aboriginal communities and seeing first hand the seriousness of the issues in health and living standards. The tour was criticised by some journalists for being a one-off event instead of a long-term attempt to build bridges between communities. The band was galvanised by the experiences and made them the basis of Diesel and Dust, released in 1987 and produced by Warne Livesey. The album focused on the need for recognition by white Australia of past injustices involving the Aboriginal nation and the need for reconciliation. 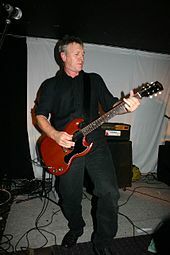 Peter Gifford left the band before the album's release due to extensive touring schedules, and was replaced by Bones Hillman, formerly of The Swingers. Diesel and Dust peaked at No. 1 on the Australian albums charts for six weeks, No. 21 on the Billboard 200 charts in 1988, and No. 19 on the UK albums charts. "Beds Are Burning" was their biggest international hit single, peaking at No. 6 in Australia, and No. 17 on the Billboard Hot 100, No. 6 on the UK singles charts. "The Dead Heart" peaked at No. 6 in Australia, and charted on the Hot 100 and in the UK. "Put Down that Weapon" also charted in Australia, while "Dreamworld" charted on Billboard's Mainstream Rock Tracks and at No. 16 on its Modern Rock Tracks. At the Australian Recording Industry Association (ARIA) 1988 Awards ceremony, Midnight Oil won "Best Cover Art " for Diesel and Dust and both "Best Single" and "Best Song" for "Beds Are Burning". A fracas developed between Morris, accepting awards for Midnight Oil, and former Countdown compere Ian Meldrum who was presenting: Meldrum objected to Morris making political commentary from the podium. There were concerns about Diesel and Dust and Midnight Oil's attempts to express indigenous issues to white urban audiences – namely, the question "who holds the power to tell whose history?" The lyrics of "The Dead Heart" tell the story of colonisation from an indigenous point of view but some critics felt they reinforced the "primitive" stereotype. Use of the bullroarer was criticised as belonging to sacred rituals, and therefore not appropriate for rock songs. "The Dead Heart" had been written in response to a request by organisers of the 1985 ceremony to return control of Uluru to its indigenous caretakers; Midnight Oil had originally resisted, arguing it would be more appropriate for an indigenous band to release the single. However, the organisers insisted, arguing that the band would reach a wider audience within the predominantly Caucasian urban centres. Midnight Oil requested that all royalties from the song go to indigenous communities. In addition, two indigenous groups, Warumpi Band and Gondwanaland, toured with them. Following the 1988 American tour in support of Diesel and Dust with Australian band Yothu Yindi, Midnight Oil launched the Burning Bridges album with various artists contributing, including Paul Kelly, Scrap Metal, Coloured Stone, Hunters & Collectors, James Reyne, The Saints, Crowded House, INXS and Yothu Yindi. All sales proceeds were donated to the National Coalition of Aboriginal Organisations. During 1989–1993 and 1998–2002 Garrett was the President of the Australian Conservation Foundation, whilst during 1993–1998 he was on the International Board of Greenpeace. In 1990 Midnight Oil played an impromptu lunchtime set in front of Exxon headquarters in New York with a banner reading, "Midnight Oil Makes You Dance, Exxon Oil Makes Us Sick," protesting the Exxon Valdez oil spill the previous year. In February 1990, Blue Sky Mining, produced by Livesey, was released by CBS/Columbia. It peaked at No. 1 on the Australian Recording Industry Association (ARIA) albums charts. It stayed at No. 1 for two weeks in Australia and had Top 5 chart success in Sweden, Switzerland and Norway. It peaked at No. 20 on the Billboard 200 and No. 28 on the UK charts. The album was more defiant and outspoken; the single "Blue Sky Mine" describes asbestos exposure in the Wittenoom mine tragedy. The single peaked at No. 8 on the ARIA singles charts, top 15 in Norway and Switzerland, No. 47 on Billboard Hot 100 and No. 1 on both their Mainstream and Modern Rock Tracks charts, and appeared on the UK charts. The second single, "Forgotten Years," was more moderately successful, reaching No. 26 on the ARIA singles chart, No. 97 in the UK, No. 11 on the Mainstream Rock Tracks, and No. 1 on the Modern Rock Tracks. In Sydney in 1990, while Midnight Oil were taking a break, Hirst joined up with guitarist Andrew Dickson, drummer Dorland Bray of Do-Ré-Mi, guitarist Leszek Karski (Midnight Oil producer) and bass guitarist Rick Grossman of Hoodoo Gurus to form a side project called Ghostwriters. The name refers to the practice of ghostwriting, wherein famous writers contribute under assumed names in order to remain anonymous. Ghostwriters' line-ups – both live and in the studio – changed considerably through the years, with only founders Hirst and Grossman being mainstays. Between successive album releases Hirst and Grossman returned to active involvement with Oils and Gurus respectively. Ghostwriters have released Ghostwriters (1991), Second Skin (1996), Fibromoon (1999) and Political Animal (2007). At the 1991 ARIA Awards ceremony, Midnight Oil won 'Best Group' and an 'Outstanding Achievement Award' and 'Best Cover Artist', 'Best Video' and 'Album of the Year' for Blue Sky Mining. Morris, accepting awards for Midnight Oil, was criticised for a speech lasting 20 minutes. Scream in Blue (Live), their June 1992 live album produced by Keith Walker, contained material from concerts between 1982–1990, including "Progress" from their Exxon Valdez protest gig. It peaked at No. 3 on the ARIA albums charts; Top 50 in Austria, Sweden and Switzerland; and appeared on the Billboard 200. Midnight Oil's Earth and Sun and Moon album, produced with Nick Launay, was released in April 1993 and also drew critical acclaim and international success, peaking at No. 2 on the ARIA albums charts, top 20 in Sweden and Switzerland, Top 50 on Billboard 200, and top thirty in the UK albums chart. The single "Truganini" referenced multiple issues, including the 'last' Tasmanian Aboriginal, the treatment of indigenous artist Albert Namatjira, the Australian flag debate, and republicanism. Liner notes for the single claimed "Truganini was the sole surviving Tasmanian Aborigine, the last of her race, when she died in 1876." The Tasmanian Aboriginal Centre, representing over 7000 contemporary Tasmanians, called for the single to be boycotted as it perpetuated a 'white' myth about the extinction of Tasmanian Aborigines. Their Native Title claims hinged upon establishing links with ancestral lands. Morris responded with, "My suggestion to these people is to stop shooting themselves in the foot and let a band like Midnight Oil voice its appeal to White Australia on behalf of Black Australia". Critics contended that Morris disparaged Indigenous Australians' ability to represent themselves and overestimated Midnight Oil's ambassadorial powers while diminishing their errors, while some indigenous activists saw benefit in Midnight Oil's highlighting of the issues. Nevertheless, "Truganini" released in March peaked at No. 10 on the ARIA singles charts, No. 10 on Billboard Mainstream Rock Tracks and No. 4 on their Modern Rock Tracks charts, and top thirty for the UK charts. Peter Garrett issued an apology for the mistake in the liner notes. In 1993, the band also participated in the Another Roadside Attraction tour in Canada, and collaborated with The Tragically Hip, Crash Vegas, Hothouse Flowers and Daniel Lanois on the one-off single "Land" to protest forest clearing in British Columbia. Breathe was released in 1996. It was produced by Malcolm Burn and had a loose, raw style with almost a low-key sound. It peaked at No. 3 on the ARIA albums chart, and had Top 40 success in New Zealand and Switzerland. They returned to No. 1 on the ARIA albums charts with the compilation 20,000 Watt R.S.L. in 1997 on Sony Records, which achieved 4×Platinum sales. Later albums, Redneck Wonderland in 1998, The Real Thing in 2000 and Capricornia in 2002 again renuniting with producer Warne Livesey, all charted into the ARIA Top Ten. Midnight Oil again brought the politics of Reconciliation to the fore during their performance at the closing ceremony of the Sydney 2000 Summer Olympics. Then Prime Minister John Howard had triggered controversy that year with his refusal to embrace symbolic reconciliation and apologise to Indigenous Australians and members of the Stolen Generations. But he had also claimed their reconciliation-themed single "Beds Are Burning" was his favourite Midnight Oil song. Midnight Oil performed the song at the ceremony with the word SORRY conspicuously printed on their clothes as a form of apology to indigenous people for their suffering under white settlement, and to highlight the issue to Howard, who was in the audience at the Olympic stadium as an estimated one billion people watched on television. Midnight Oil had consulted with tour mates Yothu Yindi and other indigenous activists, so that their performance would bring popular protest to the world arena. In 2001, when Australasian Performing Right Association (APRA) surveyed 100 music industry people for their Top 10 Best Australian songs of all time, "Beds Are Burning" was voted No. 3 behind The Easybeats' "Friday on My Mind" and Daddy Cool's "Eagle Rock". At the 2001 APRA Awards ceremony "Beds are Burning" was shown on video and introduced by Australian Democrats Senator Aden Ridgeway as an indigenous spokesperson on Reconciliation. "Power and the Passion" was also listed in APRA's Top 30 best Australian songs. Garrett announced his decision to quit Midnight Oil on 2 December 2002, to refocus on his political career. In the 1984 federal election, Garrett had stood for the Australian Senate under the Nuclear Disarmament Party banner, and narrowly lost. He won the seat of Kingsford Smith at the 2004 General Election for the Australian Labor Party and was selected as Shadow Minister for Climate Change, Environment, Heritage and the Arts. On Thursday, 29 November 2007, Prime Minister elect Kevin Rudd named Garrett as Minister for the Environment, Heritage and the Arts. The other members of the band continued to work together but not under the Midnight Oil name, bringing the band's career to a close. After a warm up gig the previous evening at the Manly-Warringah Leagues Club the band, including Garrett, reunited to perform at the WaveAid concert on 29 January 2005, to raise funds for the victims of the 26 December 2004 Indian Ocean tsunami. The concert, which took place at the Sydney Cricket Ground, also included performances by Powderfinger, Silverchair, Nick Cave, John Butler Trio, Finn Brothers and others. Rob Hirst in his acceptance speech thanked his family, bandmates, and support from fellow Australians. He also lamented the fact that unlike the Vietnam war which had inspired some of the best protest songs ever written, very few had been written in reaction to the invasion of Iraq. Flat Chat, another compilation album, was released in November and peaked at No. 21 on the ARIA album charts. Rumours of an appearance by Midnight Oil at the Sydney leg of the Live Earth concert in July 2007 were false. However Ghostwriters, founded by drummer Hirst and Hoodoo Gurus bass guitarist Rick Grossman and including former Oils guitarist Martin Rotsey, performed six tracks including the Oils' song "When the Generals Talk", whilst Peter Garrett gave a speech introducing a reformed Crowded House. Aside from Ghostwriters, Hirst has also been a member of Backsliders, performed with former Olympian Paul Greene, with fellow Backsliders member Dom Turner on The Angry Tradesmen and with Rotsey assisted on Jim Moginie's solo album Alas Folkloric in 2006. On the evenings of 12 & 13 March 2009 a reformed Midnight Oil, with Garrett, played at the Royal Theatre in Canberra. The following day, 14 March they headlined the Sound Relief concert in Melbourne. This event was held at the Melbourne Cricket Ground (MCG) to raise money for victims of Victoria's February bushfire disaster. The event was held simultaneously with a concert at the Sydney Cricket Ground. All proceeds from the Melbourne Concert went to the Red Cross Victorian Bushfire relief. Appearing with Midnight Oil in Melbourne were Augie March, Bliss N Eso with Paris Wells, Gabriella Cilmi, Hunters & Collectors, Jack Johnson, Kasey Chambers & Shane Nicholson with Troy Cassar-Daley, Kings of Leon, Liam Finn, Crowded House, Jet, Paul Kelly, Split Enz and Wolfmother. One of the Great Circle tour's final concerts was held on Armistice Day at The Domain, in Sydney on November 11, 2017. Both shows at the Domain (the band also performed there on November 17) were filmed and recorded, being turned into the live album and film Armistice Day: Live at the Domain, Sydney. The film was given a one-night cinematic release on October 24, 2018. On 9 November 2018, Armistice Day was released as a live album, as well as on DVD and BluRay. Midnight Oil initially faced resistance from the mainstream media, but went on to sell 12 million albums by 2002. They were inducted into the ARIA Hall of Fame in 2006, having won 11 ARIA Awards during their career. AllMusic noted that the band "brought a new sense of political and social immediacy to pop music", and were "inspirational and successful in their homeland", while critic Bernard Zuel wrote: "It's been said of Midnight Oil that 'this is what Australia sounds like'." Author Tim Winton remarked: "It was almost too much to believe that rock music could be about anything but itself. You know: life on the road and the inconvenience of VD. Dicks and chicks. Faux Americana. Finally someone was playing stuff that was musically idiosyncratic, fresh and strong. And authentic." Spin founder Bob Guccione Jr. said of Midnight Oil: "If they were from New Jersey they'd be bigger than U2." The group have influenced international acts such as Green Day, R.E.M., Pearl Jam, Garbage, The Cranberries, Biffy Clyro, Candlebox, Maná, Hot Water Music and Shades Apart, as well as Australian performers like Crowded House, Powderfinger, The Living End, John Butler, DMA's and Tim Freedman. R.E.M. frontman Michael Stipe described Peter Garrett as a "brilliant" songwriter who is "able to imagine a situation, put [himself] into it and write about it", adding: "That, to me, is incredible". Crowded House singer Neil Finn went on to have multiple collaborations with Jim Moginie, whom he called "a great guy and an amazing guitar player". Biffy Clyro vocalist Simon Neil said of Midnight Oil: "Every night for about three weeks, driving home from the studio I would just put 'Beds Are Burning' on, just on loop... They're a really underrated band." The Living End founder Chris Cheney said that his ensemble listened to "a lot of [Midnight Oil's] 10, 9, 8, 7, 6, 5, 4, 3, 2, 1 and Red Sails in the Sunset, and were blown away by their fearlessness in not being shackled to a style". The group have also inspired artists outside the realm of popular music, including poet Daniel Nester and painter Nicholas Harding. Midnight Oil's songs have been covered by performers such as Pearl Jam (and frontman Eddie Vedder solo), U2, Patti Smith, The Killers, Imagine Dragons, Silverchair, Tom Morello (as The Nightwatchman), Billy Bragg and Anti-Flag. U2 singer Bono recorded a speech for Midnight Oil's ARIA Hall of Fame induction, sections of which aired intermittently. He recited the chorus lyrics of their song "Forgotten Years", and hailed the outfit as an "extraordinary" band whose music "brought people's differences together; not to resolve them, just to get them in the same room, up each other's noses". Killers vocalist Brandon Flowers said: "I wish I'd written 'Forgotten Years'... That song touches my heart." Midnight Oil's music is the subject of 2001 tribute album The Power & The Passion, which features covers by several mainstream rock acts from Australia and New Zealand, including Something for Kate, Regurgitator, Grinspoon, Jebediah, Augie March and Shihad. In 2009, a version of "Beds Are Burning" was recorded by numerous musicians – among them Duran Duran, Lily Allen, Bob Geldof, Fergie, Mark Ronson and Scorpions – in protest of global warming and climate change. 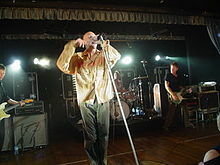 Music journalist Kurt Loder once noted that Midnight Oil were "reputed to be Australia's most formidable live act"; Tomas Mureika in AllMusic argued they were "the tightest band on the planet for a time". Writer John O'Donnell said that the group's performances "quickly became the stuff of legend and earned the band a large and fiercely loyal following". Cold Chisel singer Jimmy Barnes called them "one of the greatest bands ever and one of my favourite live bands in the world". The Smashing Pumpkins frontman Billy Corgan referred to the 2016 announcement of Midnight Oil's impending reformation as "awesome news", noting that they are "one of the greatest live bands I've ever seen". Corgan had previously likened his dancing to that of Peter Garrett. Garrett's onstage routine – described by critic Richard McGregor as "mesmerising" – incorporates a wild and eccentric dance style; Guardian journalist Andrew Stafford wrote that Garrett has a "unique dance step that captivated audiences for over 20 years" prior to the group's 2002 disbandment. His dancing was imitated in Parliament by Australian politicians Peter Costello and John Elferink. ^ Merline, Michael (1 May 2013). "Midnight Oil: Essential Oils". Archived from the original on 13 July 2013. Retrieved 2015-09-27. CS1 maint: BOT: original-url status unknown (link) . Spectrum Culture. ^ Street, Andrew (5 June 2014). "Midnight Oil: should they reform?". Guardian. Retrieved 29 May 2018. ^ a b c d e f g h i j k l m n o p q r s t u v w x y z aa ab ac ad ae af ag ah ai McFarlane, Ian (1999). "Encyclopedia entry for 'Midnight Oil'". Encyclopedia of Australian Rock and Pop. Allen & Unwin. ISBN 1-86448-768-2. Retrieved 20 October 2008. ^ a b c d e f g h i j k l m n o p q r s t u v w Ed Nimmervoll (ed.). "Midnight Oil". Howlspace. Archived from the original on 27 July 2012. Retrieved 22 January 2014. ^ a b c d e f g h i j k l m n o p Holmgren, Magnus; Stenerlöv, Carl-Johan. "Midnight Oil". Australian Rock Database. Passagen.se (Magnus Holmgren). Archived from the original on 27 September 2012. Retrieved 12 February 2014. ^ a b Fricke, David (2004). "Midnight Oil Biography". Rolling Stone. Archived from the original on 3 November 2007. Retrieved 21 October 2008. ^ a b c d e f g h i j k l m n o Kent, David (1993). Australian Chart Book 1970–1992. Australian Chart Book, St Ives, N.S.W. ISBN 0-646-11917-6. ^ a b c d e f g h i j k "Midnight Oil discography". Australian Charts Portal. Retrieved 20 October 2008. ^ a b Kruger, Debbie (2 May 2001). "The songs that resonate through the years" (PDF). Australasian Performing Right Association (APRA). Archived from the original (PDF) on 12 May 2011. Retrieved 20 October 2008. ^ Rose, Peter (2006). "Rose Review". Australian Book Review. Archived from the original on 30 September 2008. Retrieved 21 October 2008. ^ a b "The quirks that made it work". Sydney Morning Herald. 5 August 2006. Retrieved 21 October 2008. ^ Grech, Jason (19 August 2004). "An interview with Molly Meldrum by Jason". Countdown Memories. Archived from the original on 20 July 2008. Retrieved 22 October 2008. ^ a b c d e f "Midnight Oil – Charts & Awards – Billboard Albums". Allmusic. Retrieved 21 October 2008. ^ a b "Memorable TV – L to M". Memorable TV. Archived from the original on 17 October 2008. Retrieved 22 October 2008. ^ "One Night Stand (1984) soundtrack". Internet Movie Database (IMDb). Retrieved 24 October 2008. ^ "Best of Both Worlds (2004)". Internet Movie Database (IMDb). Retrieved 24 October 2008. ^ "1984 Senate N.S.W. results". Adam Carr. Retrieved 22 October 2008. ^ a b c d e f g "Chart Stats Midnight Oil". Chart Stats. Archived from the original on 27 May 2012. Retrieved 22 October 2008. ^ a b c d e "Midnight Oil – Charts & Awards – Billboard Albums". Allmusic. Retrieved 22 October 2008. ^ a b "ARIA Awards 2008: History: Winners by Year search result for 1988". Australian Recording Industry Association (ARIA). Archived from the original on 26 September 2007. Retrieved 24 October 2008. ^ "Blue Sky Mining album charting". Australian Charts Portal. Retrieved 23 October 2008. ^ ""Blue Sky Mine" single charting". Australian Charts Portal. Retrieved 23 October 2008. ^ a b Holmgren, Magnus. "Ghostwriters". Australian Rock Database. Passagen.se (Magnus Holmgren). Archived from the original on 29 March 2012. Retrieved 12 February 2014. ^ a b "ARIA Awards 2008: History: Winners by Year search result for 1991". Australian Recording Industry Association (ARIA). Archived from the original on 8 June 2009. Retrieved 24 October 2008. ^ "Scream in Blue – Live album charting". Australian Charts Portal. Retrieved 24 October 2008. ^ "Earth and Sun and Moon album charting". Australian Charts Portal. Retrieved 24 October 2008. ^ "Breathe album charting". Australian Charts Portal. Retrieved 24 October 2008. ^ "ARIA Charts – Accreditations 2008 Albums". ARIA. Retrieved 19 January 2009. ^ a b Culnane, Paul (28 May 2001). "The final list: APRA'S Ten best Australian Songs". Australasian Performing Right Association. Archived from the original on 8 March 2008. Retrieved 20 May 2008. ^ "Sydney to kick off Earth concerts". Sydney Morning Herald. 11 April 2007. Retrieved 25 October 2008. ^ "Rare Oils - Special Broadcasts - Royal Theatre Canberra, 12 and 13 March 2009". ABC Radio National. Australian Broadcasting Corporation. 2 November 2012. Retrieved 9 August 2017. ^ a b c Brumby, John (24 February 2009). "Artists Unite For 'Sound Relief' Bushfire Benefit – Premier of Victoria, Australia". Premier of Victoria. Archived from the original on 16 July 2009. Retrieved 25 February 2009. ^ a b Mitchell, Geraldine (24 February 2009). "Coldplay, Kings of Leon to headline bushfire relief concerts". Herald Sun. Australia: The Herald and Weekly Times Ltd. Archived from the original on 25 February 2009. Retrieved 25 February 2009. ^ "Tour Dates". Midnight Oil. Retrieved 15 January 2018. ^ "Midnight Oil Armistice Day: Live at The Domain, Sydney". Event Cinemas. Retrieved 3 April 2019. ^ "Armistice Day: Live At The Domain, Sydney' album, DVD and Blu-Ray out Fri 9 Nov". Midnight Oil. Retrieved 3 April 2019. ^ "Midnight Oil announce 2019 tour return". Retrieved 3 April 2019. ^ "Big Red Bash". Retrieved 3 April 2019. ^ Savage, Desiree. "Midnight Oil to play Wollongong and Canberra, the only headline shows for 2019". Illawarra Mercury. Retrieved 3 April 2019. ^ "MIDNIGHT OIL REVEAL FINAL 2019 GIGS & POSSIBLE RECORDING PLANS". Retrieved 3 April 2019. ^ Sutherland, Donnie (6 December 1980). "Peter Garrett". Sounds. Seven Network. There's not a great deal of press outside of the rock magazines, and radio have been reluctant to play [Midnight Oil] records. ^ a b c Zuel, Bernard (4 December 2002). "The sun sets on Midnight Oil". The Age. Retrieved 6 February 2018. ^ "ARIA 2008 Hall of Fame inductees listing". ARIA Hall of Fame. Archived from the original on 2 August 2008. Retrieved 20 October 2008. ^ "Winners by Award: Hall of Fame". Australian Recording Industry Association (ARIA). Archived from the original on 2 February 2009. Retrieved 25 October 2008. ^ "Midnight Oil: Biography". AllMusic. Retrieved 15 January 2018. ^ Guccione Jr, Bob (April 1990). "10 best by Bob Guccione Jr". Spin: 50. ^ "Green Day down under". The Age. 14 December 2005. Retrieved 11 February 2018. ^ "REM: Really Excellent Music". Rip It Up. Hark Entertainment Ltd. January 1996. Our early stuff was definitely informed by groups like... Midnight Oil. ^ a b Duran, Jorge (17 March 2011). "On the spot: Eddie Vedder – Live in Canberra". Spotlight Report. Retrieved 15 January 2018. ^ "The Cranberries: Related". AllMusic. Retrieved 10 November 2017. ^ a b Fawbert, Dave (6 July 2016). "Biffy Clyro's Ultimate Playlist". ShortList. Retrieved 15 January 2018. ^ Rodgers, Ellie (16 February 1994). "All fired up". Westword. Retrieved 16 January 2018. ^ "Maná: Related". AllMusic. Retrieved 10 November 2017. ^ Gentile, John (11 June 2014). "Chuck Ragan". Punknews.org. Retrieved 27 January 2018. ^ "Shades Apart". Revelation Records. Retrieved 11 February 2018. ^ "Crowded House: Related". AllMusic. Retrieved 10 November 2017. ^ Scatena, Dino; Powderfinger (2011). Powderfinger: Footprints. Hachette Australia. p. 240. ISBN 978-0733628825. Midnight Oil invited the Fingers to join them on the bill of the Woodford Folk Festival. It was a show that had a profound effect on the band... they watched Midnight Oil perform. The whole experience reinforced the concept of blending social consciousness with musicianship of the highest calibre. ^ a b Yates, Rod (13 May 2016). "My Life in 10 Songs: Chris Cheney". Rolling Stone Australia. Retrieved 15 January 2018. ^ Newton, Tom (3 August 2017). "Music interview – DMA's". Yorkshire Evening Post. Retrieved 11 February 2018. ^ Mordue, Mark (28 December 2004). "Oz rock's hard place". The Sydney Morning Herald. Retrieved 16 January 2018. ^ Pinnock, Tom (26 August 2016). "REM on Out Of Time: 'This is a record of challenges'". Uncut. Retrieved 15 January 2018. ^ "Neil Finn". 120 Minutes. 21 July 2002. MTV2. Viacom Media Networks. ^ Nester, Daniel (7 May 2017). "Midnight Oil's Time Has Come Again". PopMatters. Retrieved 27 January 2018. ^ Eliezer, Christie (27 June 2016). "Jenny Morris' Art Of Music raises over $263k for charity". The Music Network. Retrieved 15 January 2018. ^ Corbett, Bernard M; Harkins, Thomas Edward (2016). Pearl Jam FAQ: All That's Left to Know About Seattle's Most Enduring Band. Backbeat Books. ISBN 978-1617136122. Midnight Oil... had a huge commercial hit with 1987's 'Beds Are Burning'. Pearl Jam covered the song twice over the course of four days during a trip to Australia during the Fall 2006 Tour. ^ Weldon, Jason (21 November 2006). "U2 still showing young pretenders how it's done". Drum Media. Treweek. The 19 November Melbourne audience was treated to a short cover of The Oils' 'Beds Are Burning'. ^ Petridis, Alexis (3 June 2018). "Patti Smith review – so charismatic she can goof up all she likes". The Guardian. Retrieved 16 June 2018. ^ Sharwood, Anthony (30 September 2017). "Everyone Loves The Killers For Playing (A Very Political) Midnight Oil Song At AFL Grand Final". HuffPost. Retrieved 15 January 2018. ^ Prebeg, Michael (2 September 2015). "Imagine Dragons, British India - Melbourne Park". TheMusic.com.au. Retrieved 15 January 2018. ^ Mann, Tom (24 November 2015). "A look back at 15 of the most memorable ARIA Awards performances". Junkee Media. Archived from the original on 25 November 2016. Retrieved 15 January 2018. ^ a b Penn, Barbara (4 February 2008). "Big Day Out @ Flemington Racecourse, Melbourne (28/01/2008)". Junkee Media. Archived from the original on 17 January 2018. Retrieved 16 January 2018. ^ "Like A Version - Anti-Flag". ABC Online. 22 January 2008. Retrieved 16 January 2018. ^ "Midnight Oil's ARIA Hall of Fame induction". ARIA Music Awards of 2006. 29 October 2006. Network Ten. Ten Network Holdings. ^ Greene, Andy (12 September 2017). "Killers' Brandon Flowers on Mormonism, Why 'Mr. Brightside' Is Bigger Than Ever". Rolling Stone. Retrieved 15 January 2018. ^ Chrisafis, Angelique (1 October 2009). "Lily Allen and Duran Duran launch celebrity climate campaign track". The Guardian. Retrieved 16 January 2018. ^ Loder, Kurt (23 June 1983). "Men at Work: Out to Lunch". Rolling Stone. Retrieved 15 January 2018. ^ Mureika, Tomas. "Midnight Oil: Best of Both Worlds". AllMusic. Retrieved 19 January 2018. ^ O'Donnell, John (April 1990). "Oil burns in the Outback". Spin: 28. ^ Adams, Cameron (4 June 2016). "Barnes: 'I wouldn't go on that show if you paid me'". news.com.au. Retrieved 15 January 2018. ^ Corgan, William Patrick (5 May 2016). "Midnight Oil to reform". The Smashing Pumpkins on Facebook. Retrieved 15 January 2018. ^ "Garrett for PM, president". Herald Sun. 28 March 2008. Retrieved 24 January 2018. ^ McGregor, Richard (22 March 1979). "Australian Reviews". Rolling Stone. North Sydney, NSW: Silvertongues Pty Ltd: 43. ^ "From rocker to Aussie environment minister". NBC News. 29 November 2007. Retrieved 17 January 2018. ^ "Midnight Oil drummer hints at reunion after Peter Garrett finishes memoir". The Age. 4 June 2014. Retrieved 17 January 2018. ^ Stafford, Andrew (17 July 2016). "Midnight Oil frontman Peter Garrett is back – and he's ready to dance again". Guardian. Retrieved 15 January 2018. ^ Barlow, Karen (4 November 2015). "Bill Shorten Dances During Community Event In Kiribati". HuffPost. Retrieved 15 January 2018. ^ Smee, Ben; Walsh, Christopher A (2016). Crocs in The Cabinet: Northern Territory politics. Hachette Australia. ISBN 978-0733637520. Elferink embraced the oddball in a light-hearted sort of way. He quoted Taylor Swift during estimates hearings, imitated Peter Garrett's dancing on the floor of Parliament. Wikimedia Commons has media related to Midnight Oil.